Creative Time has commissioned and produced hundreds of art projects, working with thousands of artists in New York City, from Tribute in Light, the twin beacons of light that illuminated lower Manhattan six months after 9/11, to HIV campaigns in the 80s, Jenny Holzer flyovers, Paul Chan’s production of Waiting for Godot in New Orleans, and much more. For their 33-year anniversary, Creative Time commissioned karlssonwilker to work on their big celebratory publication, their first retrospective. Creative Time has dedicated itself to public art that is temporary and experimental rather than permanent and monumental. In the late 70s, the group was known for taking over empty real estate, whether a building lobby or a landfill. In the 80s, at a time of rising political activism, they were likely to insert art onto street corners, the sides of buses, milk cartons, or takeout coffee cups. One project in 1993 took over all of 42nd Street, prior to its Disneyfication. In 2004, Creative Time deployed a team of artists to repaint the facades of businesses at Coney Island. The essays and interviews within offer an entertaining, and sometimes nostalgic look at three decades of the New York art scene. The UVRM (Urban Visual Recording Machine) in action around New York. The abstract recordings can be deciphered. For this book, we conceived The Urban Visual Recording Machine as a means of documenting New York on paper, and as a way of connecting the public with the making of this book. The machine was housed in a commercial, glassed van and equipped with various sensors that continually recorded such elements as current weather conditions, ambient sound, prevalent surrounding color, as well as stories and comments from passers-by. The data was processed and rendered in real-time and printed out on the spot inside the van every 30 seconds over the course of a week, resulting in thousands of composite images of New York, each imprinted with the exact location, time and date. In the end, these abstract snapshots of New York and its inhabitants were sent to the printing plant to be trimmed and applied as tip-ins to the books’ hard covers. 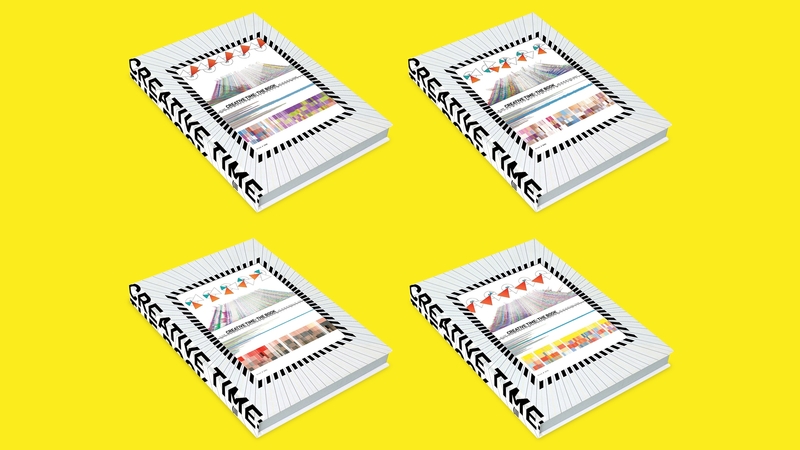 The end result meant that every book bears a one-of-a-kind artifact made by the Urban Visual Recording Machine. A key on the inside back cover allows the reader to decipher their respective original recording. We also designed the book itself, and filled it with text and photographs, celebrating and assessing the current state of public art. Hjalti and Jan spent many hours in Creative Time’s extraordinary archive to help find images and collateral to tell the stories in the most compelling ways.